Acupuncture is an essential part of the ancient traditional Chinese medicine practice that originated in China over 2,000 years ago. It is one of the oldest used medical procedures in the world. 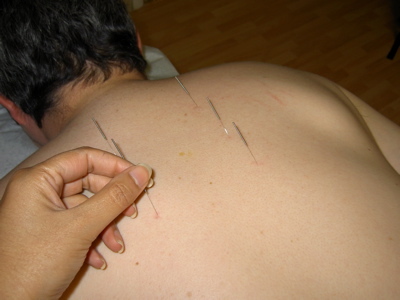 Acupuncture is an integral part of the medical traditions of China, Japan, Korea, and India. Within Traditional Chinese Medicine, it is believed that health is achieved when the body is in a balanced state and there is a smooth flow of energy (called qi) in the body. This energy flows through specific points that fall into patterns called meridians or channels. These meridians are like rivers, flowing through the body to nourish and heal the body. When there is an obstruction to the flow of energy, then pain, disease, and dysfunction will result. An acupuncturist seeks to restore harmony and balance to the flow of energy by gently stimulating these specific therapeutic points on the body. The encouragement of the smooth flow of energy results in the relief of pain and the treatment of disease. 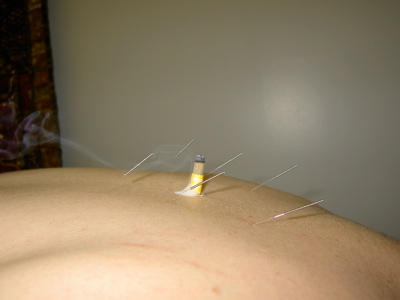 Most people do not feel any pain during the session and most patients feel very relaxed. It is known that acupuncture stimulates and releases neurochemicals, particularly endorphins and enkephalins, which are powerful natural painkillers and anti-inflammatories. Acupuncture has also been shown to help balance the autonomic nervous system; increase white blood cells, antibodies, and immunoglobulins; decrease histamine; and affect motor nerve firing.